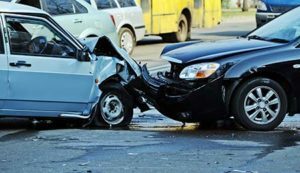 Home » Can You Get a Wrongful Death Settlement from a Car Accident? Yes. Many of our clients have lost a loved one in a car accident, and we have managed to obtain a wrongful death settlement on their behalf. Whether or not you have a valid claim will depend on several factors, which we will discuss below. How Did Your Loved One Die? Under Colorado’s Wrongful Death Act, § 13-21-202, you have a valid wrongful death claim if your loved one died because of the neglect, default, or wrongful act of another person or business. Generally, most wrongful death car accident cases involve a negligent or reckless driver. You can also bring a wrongful death case if a defect in the car contributed to the accident. For example, brakes might have malfunctioned, leading to a collision. In this case, the car manufacturer or the manufacturer of the defective part can be held responsible for your loved one’s death. Do You Qualify to Receive Compensation? ● In the first year after death, the surviving spouse. ● In the second year after death, the surviving spouse and any children. ● If there is no spouse or surviving spouse, then the deceased’s parents may file the wrongful death lawsuit at any time. If you are the surviving spouse, you should have no problem immediately entering into settlement negotiations. In other cases, you should consult with a Colorado wrongful death attorney to discuss timing. The deceased person’s estate also has a “survival action” for certain expenses that the personal representative can bring against the parties responsible for the death. The personal representative should be named in your loved one’s will. If there is no will, then the probate judge will name someone. It is possible for a spouse to pursue a wrongful death settlement and, as the personal representative, a survival action on behalf of the estate. Because it is easy to get confused, you should consult with an attorney for help. The estate can also receive compensation for funeral and burial expenses, as well as for medical treatment for your loved one’s final injury. These proceeds will be distributed according to the will or, if there is no will, then according to Colorado’s intestacy statute. How Much Money Does the Defendant Have? A key component of wrongful death car accidents that does not receive enough attention is the amount of resources a defendant has to pay out a settlement. The truth is that you might have suffered $200,000 in damages but the defendant does not have nearly that amount of money to pay your claim. In that case, you will need to analyze your options, such as filing a lawsuit or settling for less than you want. For example, many motorists in Colorado carry the minimum liability insurance as required by the state. Currently, the minimum only pays out $25,000 per person and $50,000 per accident if two or more people are killed. Financial experts recommend that people carry more, up to $100,000 per person in liability benefits, but few motorists do. Unfortunately, if the person responsible for the death does not have other assets (like cash in the bank), then this might be the maximum amount that you can receive. $25,000 probably does not sound like a lot of money, especially if your loved one was in prime working age when they died. ● We can find out if the defendant has other insurance policies that might cover the accident. For example, a homeowner’s insurance might apply. ● We can check whether you have uninsured/underinsured motorist coverage. If you do, then you might tap that policy for increased benefits. ● We can analyze whether you can add another defendant, such as the car manufacturer. Another defendant might have deeper pockets, which can help pay out a wrongful death settlement. ● We might investigate whether the defendant has other assets you could seize if you file and win a lawsuit against them. Each case is different, and we cannot say ahead of time which approach will work best. But we always do our best to maximize the amount of a wrongful death settlement our clients can receive. How Much Time Do I Have to Seek a Settlement? Under Colorado law, you have two years from the date of death to file a lawsuit in court for wrongful death. Because a lawsuit is the only leverage you have in settlement negotiations, you won’t get additional time to negotiate. Instead, a defendant will have no incentive to meet you at the bargaining table if the deadline for filing a lawsuit has already passed. To protect yourself, you should meet with an attorney right away. Your Colorado car accident lawyer can make sure that you protect your rights at the same time that they negotiate a settlement. Car accidents claim too many lives on Colorado’s roads. If you have lost a loved one, we understand that no amount of money can ever replace a husband, wife, parent, or child. However, it is vital to hold the party at fault legally responsible. At the Olson Law Firm, we proudly represent family members in wrongful death settlement negotiations. For more information about how we can help, please contact us today.